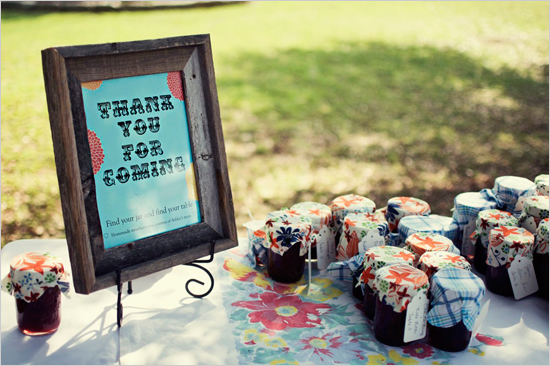 Juneberry Lane: Wedding Wednesday: Fantastic Favors . 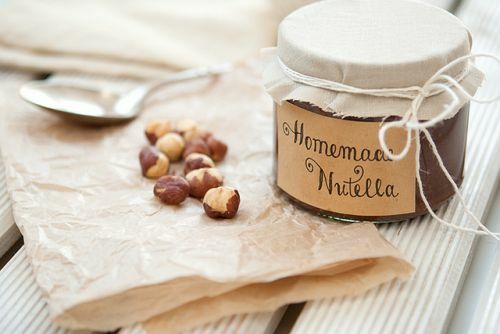 . . Homemade Nutella!! 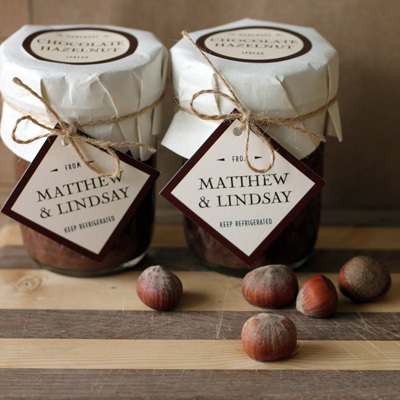 Wedding Wednesday: Fantastic Favors . 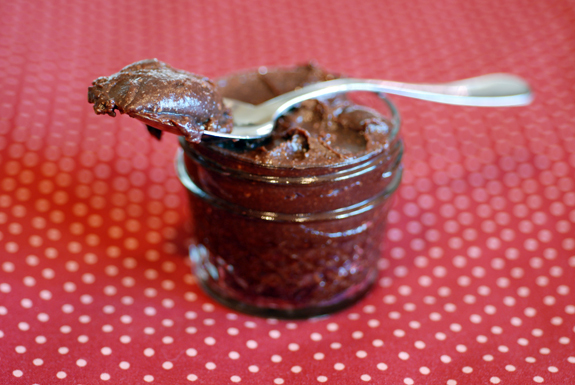 . . Homemade Nutella!! I am so excited to bring you this amazing recipe today. 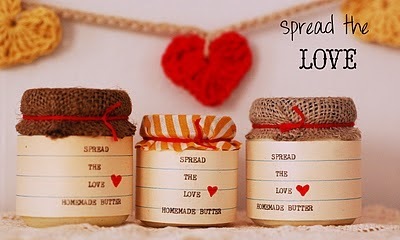 Always being a fan of homemade favors and gifts from weddings, to holiday parties, to Christmas presents, I am truly a sucker for anything in a classic mason jar, topped with a swatch of burlap or a vintagey-mod fabric, and tied tight with a twine bow. 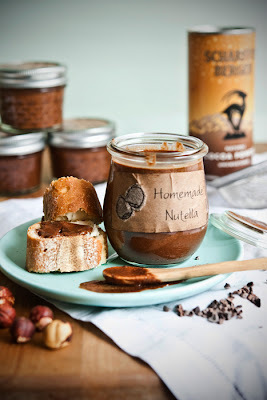 There are so many options for what to fill your little jars with, but I think one of the best is definitely this divine homemade Nutella recipe from Su Good Sweets. 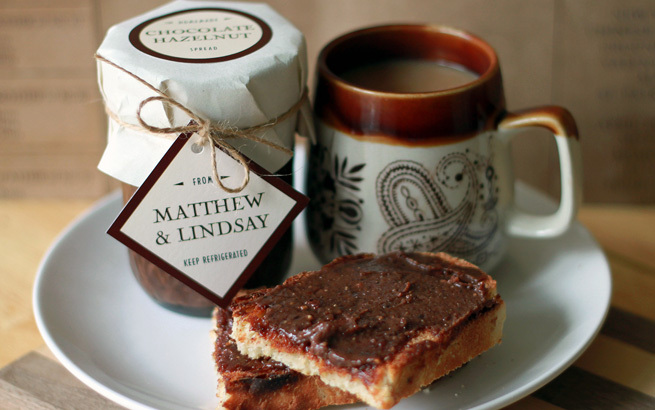 And even better, this delicious spread is even more delightful than the chocolate yumminess you get in the store bought version! Just check this out . . . 1.) Preheat oven to 350° F. Place hazelnuts in a single layer on a shallow baking pan. Toast until the skins are almost black and the meat is dark brown, about 15 minutes. Stir the nuts halfway through baking to ensure an even color. 2.) To get rid of the bitter skins, wrap the cooled hazelnuts in a clean kitchen towel or paper towel. Rub until most of the skins come off, but don’t worry if some remain. 3.) Process nuts in a food processor, scraping down the sides of the bowl occasionally, until they have liquefied, about 5 minutes. First, you will get coarsely chopped nuts, then a fine meal. After a little while, the nuts will form a ball around the blade, and it will seem like you only have a solid mass. Keep processing. The heat and friction will extract the natural oils, and you will get hazelnut butter! 4.) When the nuts have liquified, add the sugar, cocoa and vanilla. Slowly drizzle in enough oil to make a spreadable consistency. Since the mixture is warm, it will be more fluid now than at room temperature (don't worry, the consistency will be perfect in a few hours!). 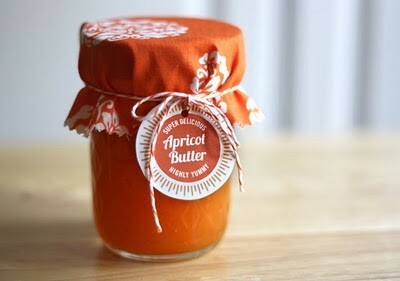 Transfer the spread to an airtight container, and store in the refrigerator for 1-2 months. 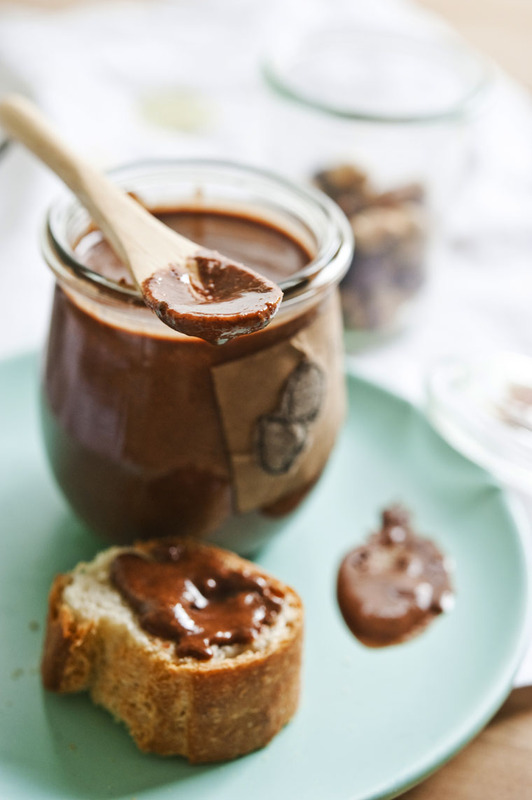 For best results, stir the chocolate-hazelnut spread before using. ~ Please use whole raw nuts, and toast them yourself to intensify the flavor. Pre-toasted or pre-chopped nuts are often spoiled. ~ To further intensify the nut flavor, use unrefined nut oil, which is tan in color. Peanut oil is especially cheap in Chinese supermarkets: 20 ounces for $2.38! So if you’re looking for a “gourmet” ingredient, try an ethnic market. ~ You really need a full-sized food processor to make nut butter, not a mini version or a blender. I recommend a 7-cup Cuisinart: it’s large enough for most household tasks but isn’t too bulky. Gorgeous packaging options . . .
Not much room in the budget? No worries, just use butcher paper . . .
You remember these oh-so-pretty vintage fabric covered goodies . 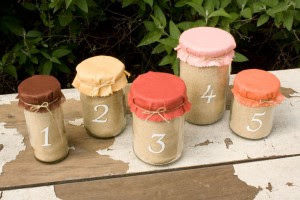 . .
You could even cover your jars in ombré tones and place them in graduated order on your favor table . . .
Or burlap (which you can get for a song at Jo Anne's) gives it that rustic elegance for a fraction of the price of regular material. These would be wonderful handmade gifts for teachers, friends, or co-workers for the upcoming holiday season too, don't you think? Happy Wednesday! !